Stop worrying about canvas frames that warp or bend. With Museo Alu-Frame Aluminum Stretcher Bars, your artwork remains tightly framed — even under extreme conditions. This museum-quality canvas framing system is especially good for artists creating large-format works and saves on shipping costs. 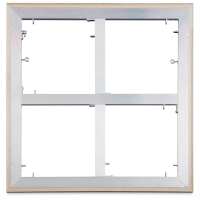 Reinforce larger frames with cross braces, which can be added without having to completely disassemble the outer frame. 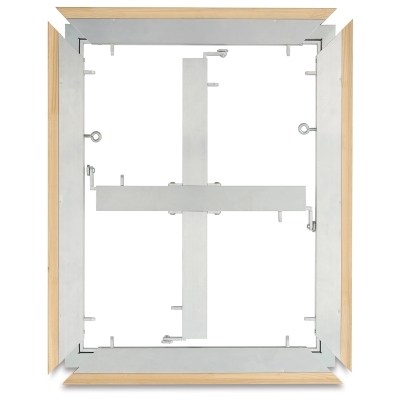 The vendor recommends cross braces for frames larger than 72" × 72". For the correct fit, order the cross brace in the same size as your stretcher bar. (The actual measurement of the cross brace will be shorter, but it will be sized to fit inside the assembled frame.) 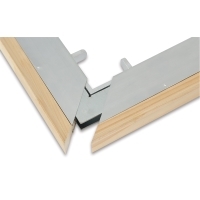 For intersecting cross braces, artists will need to further trim the brace to size themselves with a band saw. Cross braces are sold individually. ® MUSEO is a registered trademark.™ ALU-Frame is a trademark.